Pope Francis announced that 2015 will be a year dedicated to the promotion of consecrated life. To find out more about Pope Francis’ aims for the year, you are encouraged to read his Apostolic Letter of To All Consecrated People On the Occasion of the Year of Consecrated Life. To facilitate a greater understanding of consecrated life, Fountain of Love and Life has produced two TV programs featuring sharing of those who promote vocation, as well as those who live consecrated lives. The Consecrated Life, deeply rooted in the example and teaching of Christ the Lord, is a gift of God the Father to his Church through the Holy Spirit. By the profession of the evangelical counsels the characteristic features of Jesus — the chaste, poor and obedient one — are made constantly “visible” in the midst of the world and the eyes of the faithful are directed towards the mystery of the Kingdom of God. Why would someone want to be a priest or a nun? How did they discern their vocations? How do they live out their consecrated lives? Fountain of Grace takes a look at three people who found their vocation and are living out their lives in response to God’s call. What does it mean to have a vocation? How can we respond to God’s call? 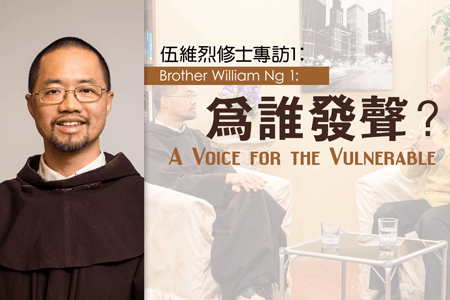 While at a vocation fair, Fountain of Grace met an organization which fosters vocations as well as a Franciscan vocations promoter, in an attempt to better understand the mystery of vocation. FLL has interviewed many priests, sisters, brothers, and people who live consecrated lives. On the occasion of the Year of Consecrated Life, let us pay tribute to them. May their perseverance and courage inspire us to be witnesses of Christ in our lives. Loving Father, we give you thanks for the constant presence of consecrated Sisters and Brothers in the Church! You have called them to abide by their vows of poverty, obedience and chastity, and to dedicate their lives totally to you. We pray that they may always listen to your Word diligently; follow your Son faithfully and cooperate with your Holy Spirit generously. Continue to enrich your Church by calling forth more young people to consecrated life, to build the Church with their life of holiness, their service to the world and their witness to the Kingdom of Heaven! We ask you this through Jesus Christ our Lord. Amen.